Indian squad for the ICC Cricket World Cup 2019 is set to be named on Monday, April 15. However, former Indian opener Virender Sehwag has named his squad for the mega tournament to be held in England from May 30 onwards. In an interesting post on Twitter, Sehwag named eight replacements in the Indian squad that featured in the 2015 edition of the Cricket World Cup. The former cricketer retained eight players from the previous World Cup squad. Sanju Samson Right Man For No. 4 Slot in Indian Squad For ICC Cricket World Cup 2019, Says Gautam Gambhir. “My Team India for the 2019 World Cup. 7 players from the 2015 team, 8 replacements! What is your team?” wrote Sehwag. The World Cup-winning cricketer included KL Rahul, Rishabh Pant and Vijay Shankar in his squad for the World Cup while leaving out Ambati Rayudu and Dinesh Karthik. 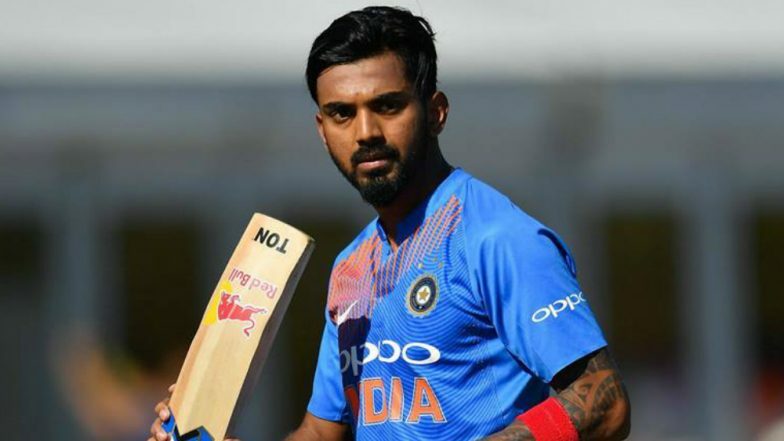 KL Rahul has been in good form in the ongoing Indian Premier League 2019 (IPL 2019) and looks like he has impressed Sehwag with his performances. It will be interesting to see whether Rahul has impressed the selectors or not. India’s Likely Squad for ICC Cricket World Cup 2019: KL Rahul Could Find a Place; Rishabh Pant, Dinesh Karthik Might Miss Out. Interestingly, ahead of the IPL 2019, Indian skipper Virat Kohli said that the performance in the IPL will not be considered for selection for the World Cup squad. However, it appears some players will be handed the World Cup ticket based on their performances in the ongoing league. Virat Kohli, Rohit Sharma, Shikhar Dhawan, MS Dhoni, Ravindra Jadeja, Bhuvneshwar Kumar, Mohammed Shami, Kedar Jadhav, KL Rahul, Hardik Pandya, Kuldeep Yadav, Yuzvendra Chahal, Vijay Shankar, Jasprit Bumrah, Rishabh Pant.